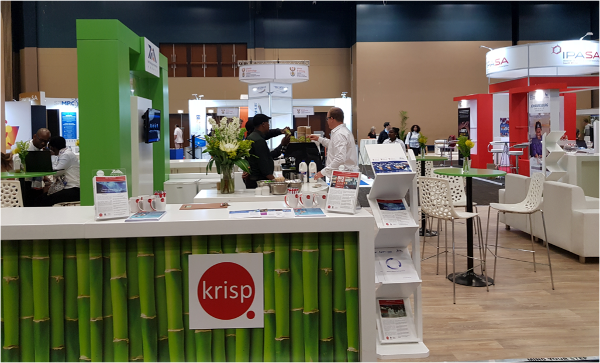 KRISP showcase its bio innovations at the BIOAFRICA Convention held on 27 – 29 August 2018 at Durban ICC. Under the theme, Africa – Open for business - Together building the Bio-Economy. KRISP had an exhibition booth under the large TIA pavilion that displayed precision medicine technologies, bioinformatics services as well as a range of genomics services and capacity development program. Building strategic collaborations is necessary for the development of a bio innovation hub in Durban, and our KRISP team had this great opportunity to interact with leaders and representatives from various bio innovation hubs, biomedical, pharmaceutical & agric-tech industries as well as science councils. BIO Africa convention was co-hosted by the South African Department of Science and Technology (DST), Technology Innovation Agency (TIA), and AfricaBio, and offered a platform for dialogue and discussion amongst stakeholders in the global biotechnology environment. It also showcased bio-innovations from the broader biotech community of South Africa and the Africa region. KRISP also contributed in the convention programme; Dr Veron Ramsuran gave a talk under ‘Precision Medicine panel’. In this talk, he presented information on whole exome sequencing (WES), cancer genomics and epigenetics assays at KRISP. Having the convention at our doorstep, KRISP got to showcase the state-of-the-art facilities that has been set-up at UKZN for high quality science. A number of convention delegates including government departments, agencies and industry enjoyed tours of our KRISP center at UKZN. KRISP also featured in the booklet of the DST and TIA BIO Africa Convention 2018 that was circulated at the convention.